This soup is the essence of winter. The leeks and potatoes from my Full Circle Farms deliveries had been accumulating in my fridge and pantry. This soup is an amazing use of these simple ingredients. I make this soup for dinner and take/send the leftovers to be reheated in the office microwave the next day. I like to serve this with homemade croutons (in this case I made pumpernickel croutons) and a bright salad (anything with apples or beets would be perfect). Heat margarine in a large soup pot or dutch oven on medium heat. Add leeks and celery to pan and cook for ~5 minutes until vegetables are softened. Add herbs de provance, bay leaf and broth and stir to combine. Cook at a low boil/ simmer for ~30 minutes until potatoes are softened and beginning to fall apart. Turn off heat, and stir in milk (if using) and parsley. 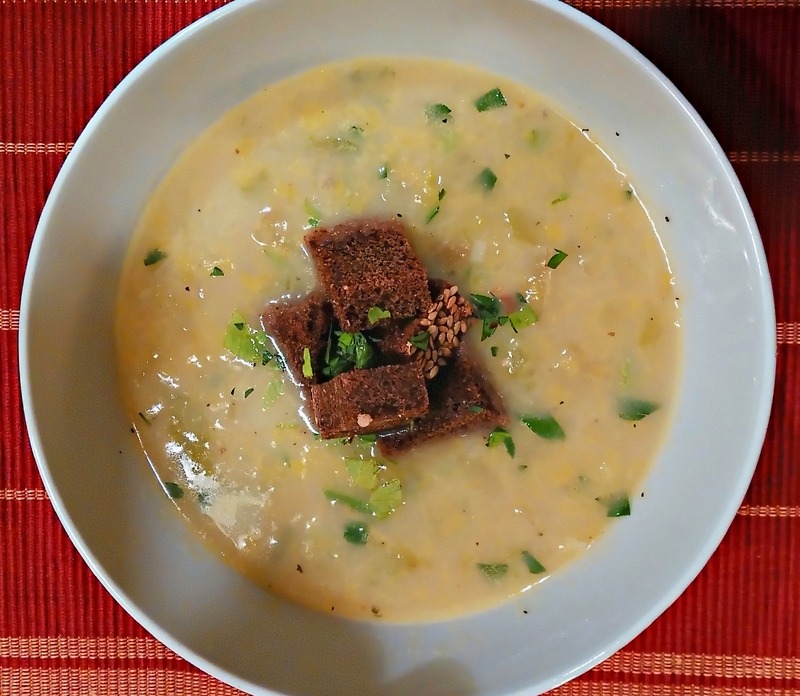 *I like a chunky texture to this soup, however, if you prefer a smooth texture you can puree the soup with an immersion blender prior to serving.